 Welcome to Haus Lydia - hauslydias Webseite! 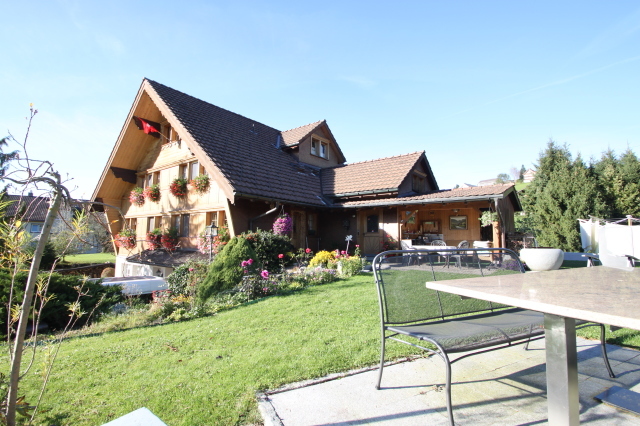 Comfort and cosiness await you in 'Haus Lydia', where we are happy to offer you temporary accommodation in our homely Appenzeller house. 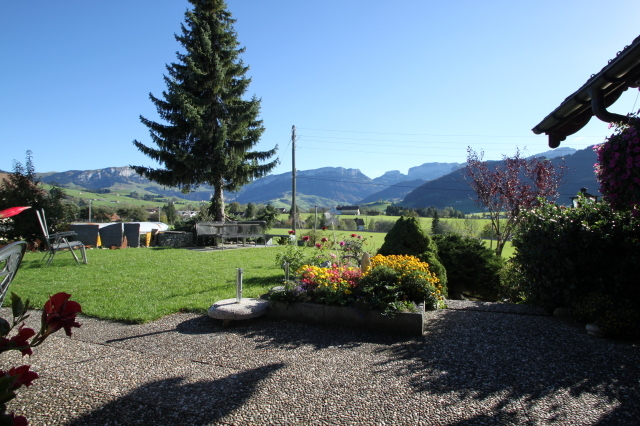 We are centrally located in Appenzell (only 6 minutes on foot from the Hirschberg train stop and 15 minutes from the village centre) and if you want, you can experience our way of life; by enjoying a nourishing breakfast in our traditional Appenzeller living room, or by relaxing in our idyllic garden with its splendid view of the Alpstein mountain range. 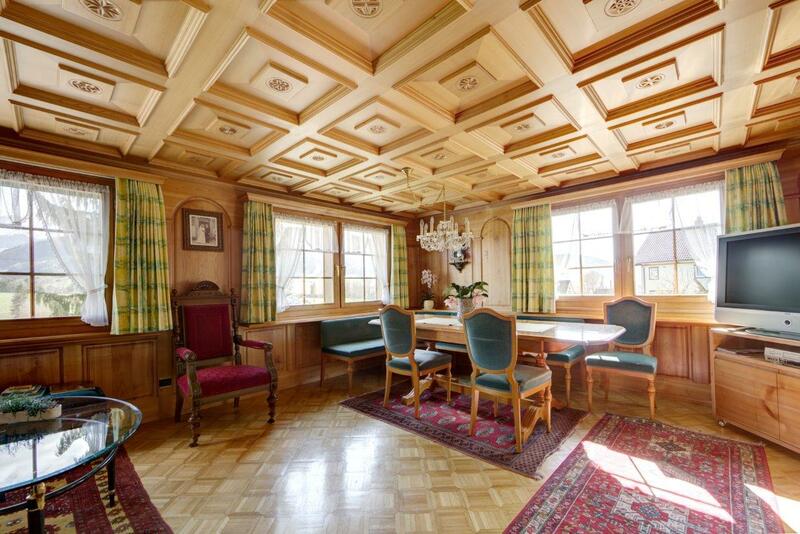 Be our guest and enjoy a well-earned rest. 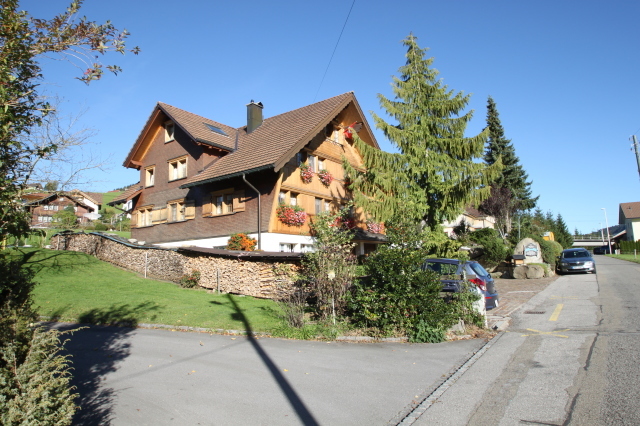 Canton Appenzell is not only the land of cheese and idyllic landscapes, but is also well-known for its decorative wooden houses. 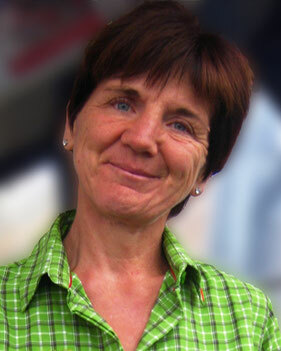 The natural building material used in the construction of 'Haus Lydia' gives it a local and homely atmosphere. 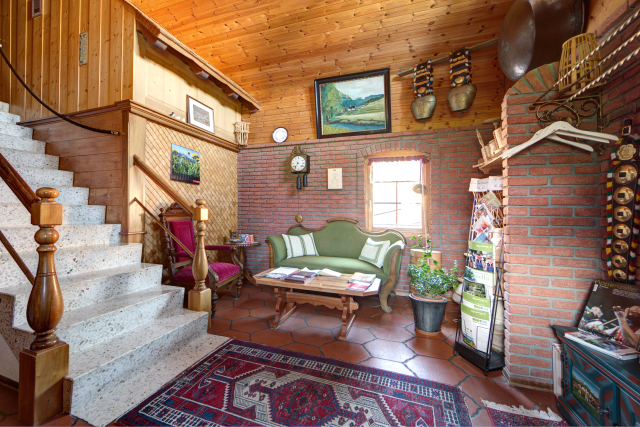 Built in a typical Appenzeller style in 1986 and renovated in the year 2000, our home can also be yours; regardless of whether you are in one of our two holiday apartments or in one of our B&B rooms. 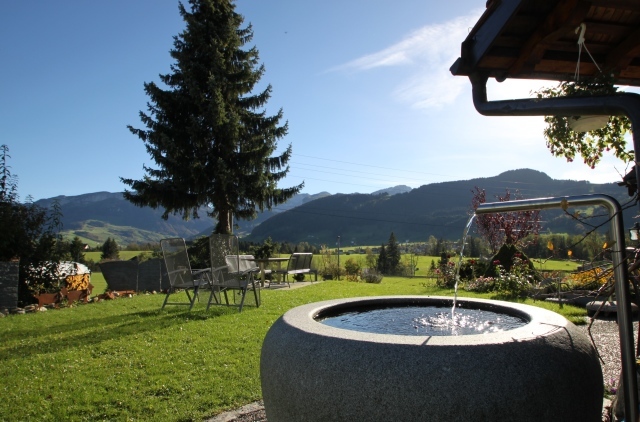 Enjoy many of the facilities of a hotel in a friendly and informal way; with each guest room having its own television and radio, as well as a bathroom with a toilet and a shower facility. Our spacious garden, which is equipped with loungers and a gas grill, is at your disposal; as well as a central refrigerator. A free WLAN service for the whole house is also included in our offer. I look forward to being your hostess. Our home has been open to guests from all over the world since 1986, and although our five sons have long since moved out and have started their own families, my husband and I have never felt lonely. Even after 30 years, I still enjoy being a B&B hostess and especially love getting to know people from different backgrounds and cultures. 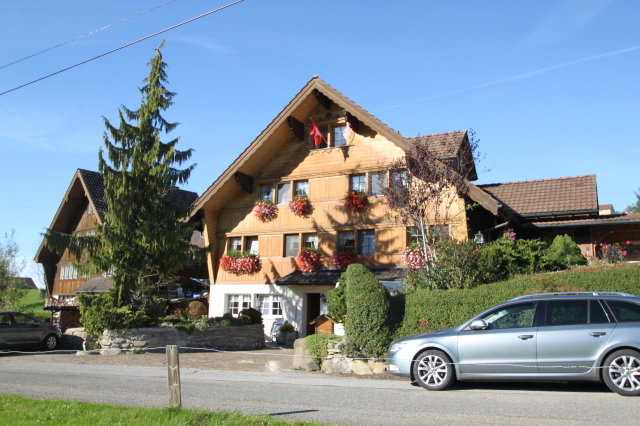 For my part, I try to bring my guests closer to our way of life by offering advice on suitable excursions and current events (culture and tradition) in and around Appenzell.